More #TBT magic from StreetRunner. 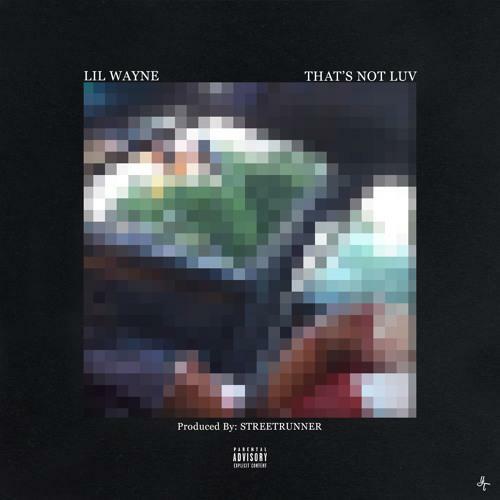 Listen to a remastered version of Lil Wayne's "That's Not Luv," originally recorded in 2011. Those who thought Throwback Thursday was a tired concept clearly haven't been keeping up with the grind of OG producer StreetRunner, who has been a close collaborator of Lil Wayne's for much of the Young Money boss' career. On several Thursdays this year, he has gifted the web with pristine reworks of some old Weezy recordings -- those that never got to see a properly furnished release. Today's reissue is titled "That's Not Luv," and it's a sample-driven gem with particularly emphatic and witty bars from the NOLA legend. The original recording comes from 2011, and Wayne's raps appeared on a Fabolous song off The Soul Tape as well as a collab with Trae tha Truth -- both released around the same time and both titled "That's Not Luv." "This version has a much more raw sound," writes StreetRunner of the solo track he's fine-tuned for today. "I thought it would be dope to share this song in its original glory with the fans." The mixing and mastering comes courtesy of Tommy Peluso.